After 33 years of working in the global logistics industry, I continue to be amazed by how little globalised the world economy still is. Given the apprehension that exists about globalisation in general and about trade in particular, some may view this statement as disingenuous. Yet, at a time when populism and nationalism are becoming ever more pervasive and multilateralism is under increasing threat, it matters greatly to have one’s facts straight. For example, just about 20 per cent of economic output worldwide is exported. Globally, investments made by companies buying, building, or expanding international operations are less than 10 per cent of all new fixed investment. Only 3 per cent of people live outside the countries where they were born. And the number of parcels shipped internationally equals just 1.3 per cent of all domestically shipped parcels, according to the Universal Postal Union. In addition, a large share of the cross-border trade that we tend to call globalisation is in fact regional in nature. 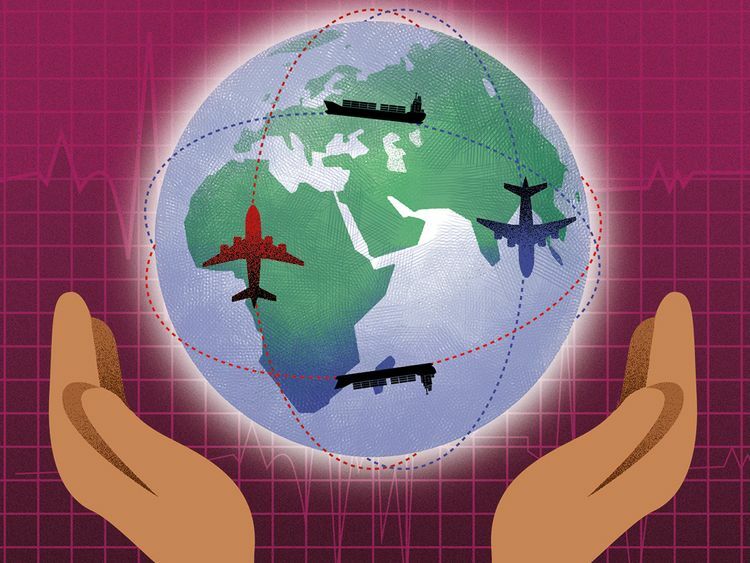 For all the talk about global supply chains, most international supply chains are actually regional — a pattern that is documented in the 2018 edition of the DHL Global Connectedness Index, developed by scholars at the NYU Stern and IESE business schools. Accordingly, it is not so much globalisation per se, but the regionalisation of the world economy that has accelerated growth in many parts of the world. Cross-border trade, whether regional or global in reach, advances economic prosperity. And like international tourism, trade offers more than just the opportunity to sell to new markets. Engaging in international trade tends to help countries upgrade the skillsets of their population as well as the quality of their infrastructure. This is especially empowering for the ever more productive middle-classes of emerging market countries. In that regard, the over 4.5 billion people living in Asia will prove an unstoppable economic force. The times when overnight access to the flow of goods and services that make up the global economy were considered a “flight of fancy” in many developing countries — or rather, the exclusive privilege of the uppermost classes of those countries — are gone. Progress in successfully tapping into the world economy is increasingly achieved in unexpected places. As noted in the 2018 DHL Global Connectedness Index, Cambodia, Malaysia, Mozambique, Singapore and Vietnam are the top countries globally whose actual international flows are larger than predicted by such factors as size, wealth, language and proximity. Notably, four of these five countries are located in Asia, one in Africa. Even though there are significant tensions affecting the global trading system at this juncture, we should feel encouraged by the conclusion of major trade agreements. As the recent EU-Japan Free Trade Agreement underscores, such trade deals also provide room for economic growth in what used to be considered the “first world”, largely by removing bureaucratic impediments to trade. Meanwhile, the steep rise in the number of mobile phone users as well as smartphone users allows many people — especially in developing countries — not just to participate more fully in their own national economy, for example, by having access to mobile payment systems. It also connects them better globally. This is not just evident in the increase in international phone calls, but in the increasing importance of online commerce globally. Crucially, online shops are far from being one-directional. They facilitate trade and expand opportunities in all directions. This even applies to small-scale artisan producers in remote corners of the world. They can now connect to customers globally. I can still remember a world when there was no online commerce and when companies’ sales representatives had to travel the globe handing out their catalogues, returning home and hoping for orders by mail. That way of doing business involved burdensome visa procedures and, if the sales mission was successful, mastering cumbersome customs procedures. All of that can now be achieved more or less by the click of a button. Having worked on the frontlines of trade in many world regions, from the UAE and Australia to Singapore and Europe, what I have come to learn along the way is that global trade is fundamental to drawing countries together and allowing their citizens to prosper. The global logistics industry is both a beneficiary of as well as a catalyst for that greater connectedness. In conclusion, there is much unexplored potential in all regions of the world that promises to move the global economy forward. True, jobs are disappearing in some industries, countries and regions. True as well, new jobs are emerging in other industries, countries and regions. But we should also keep our eyes on the bigger picture. Since 1990, globalisation has been a critical factor in reducing the number of people living in extreme poverty from 1.9 billion to 736 million. If we actively focus on the removing the remaining barriers to trade and access to information, including for people living in faraway places, we will be able to build on this impressive track record and put prosperity in reach of people everywhere. — John Pearson is CEO, DHL Express.